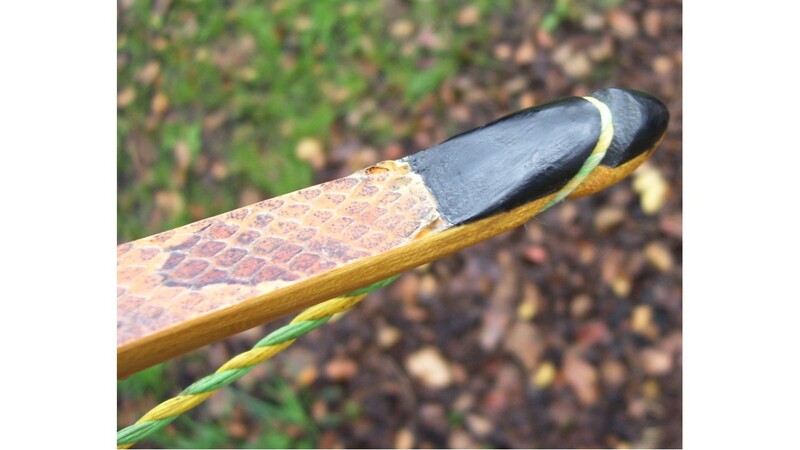 This beautiful bow is a serious hunting bow for big game. 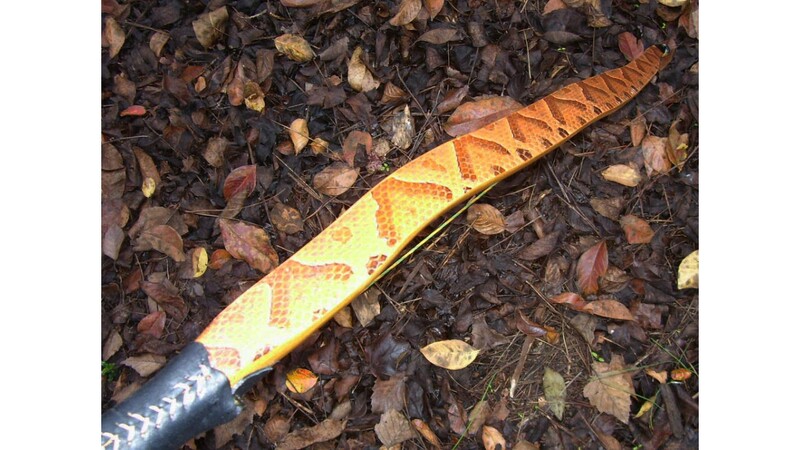 It's made of Osage orange wood and pulls 56 lbs at 26 inches of draw. 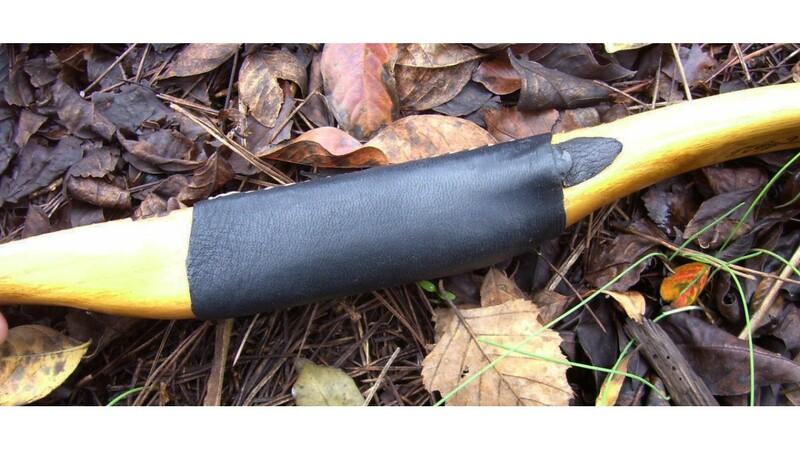 It has tip overlays of black horn, a black leather grip of buttery soft black leather with a baseball stitch, and it's been backed with real copperhead snakeskin. 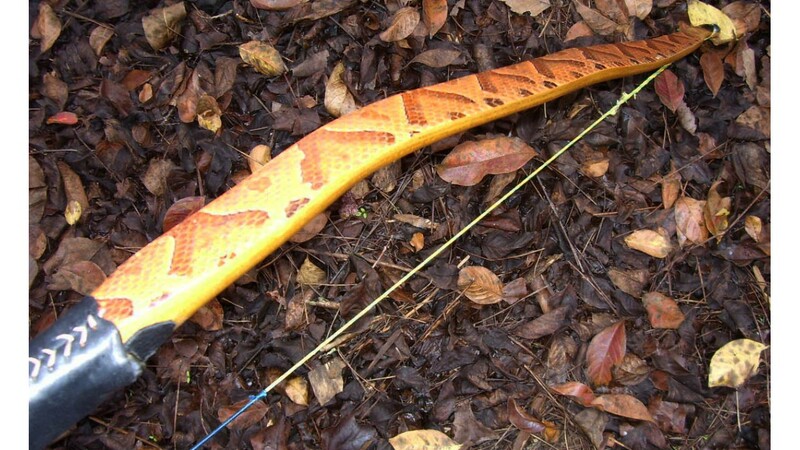 The bow has some mild snakes along the back, giving the bow the appearance of a slithering snake. 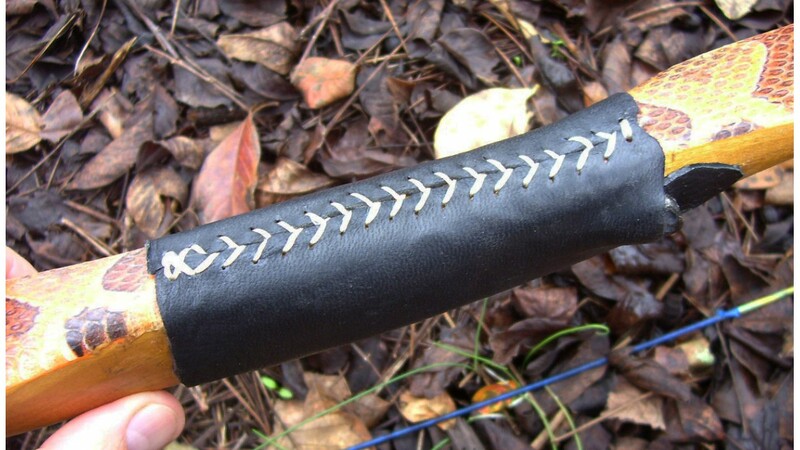 It also has an arrow shelf of black horn and an arrow strike plate of the same soft black leather that's used for the grip. The string is twisted lime-green and yellow Dacron B-50 that's been served with blue serving thread. 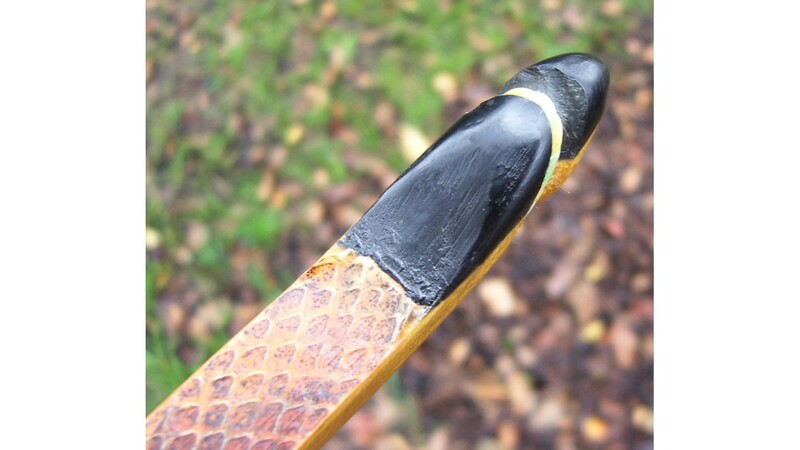 The bow has been sealed with 3 coats of urethane to protect it from the elements. The bow is shipped in a sturdy PVC pipe to ensure safe delivery to your door. The pipe can be kept as a future storage/shipping container for the bow. Care and instruction sheet included. This bow is very skillfully tillered. You can tell its power because when the string is plucked it's tight and gives a nice, musical tone indicating excellent early tension. 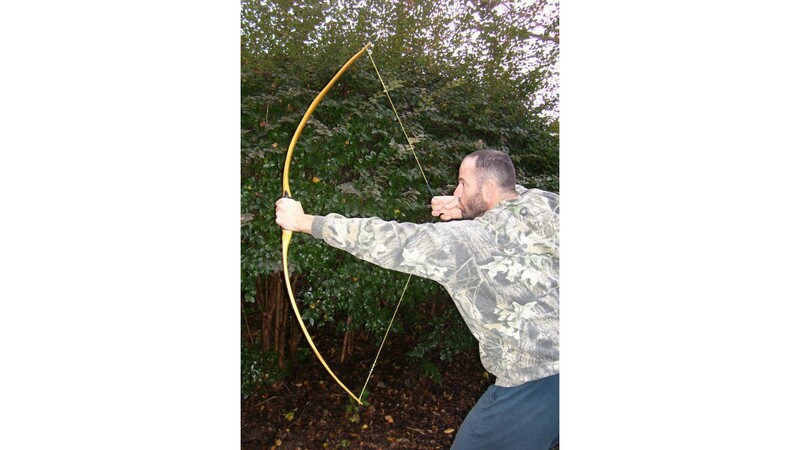 The bow shoots very well with almost no handshock and it delivers the arrow to the target with lethal velocity and consistent accuracy. It can shoot lighter arrows for higher speed or heavier arrows that deliver tremendous momentum to the target for unstoppable penetration. 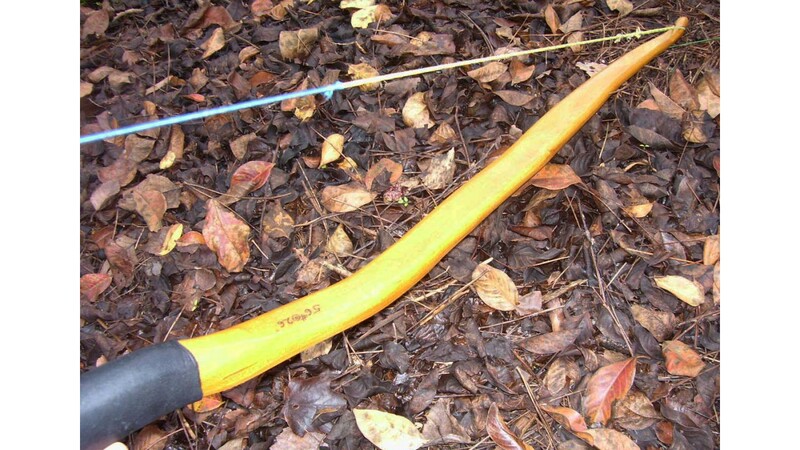 With properly matched arrows this bow will be capable of bringing down any big game animal in North America. 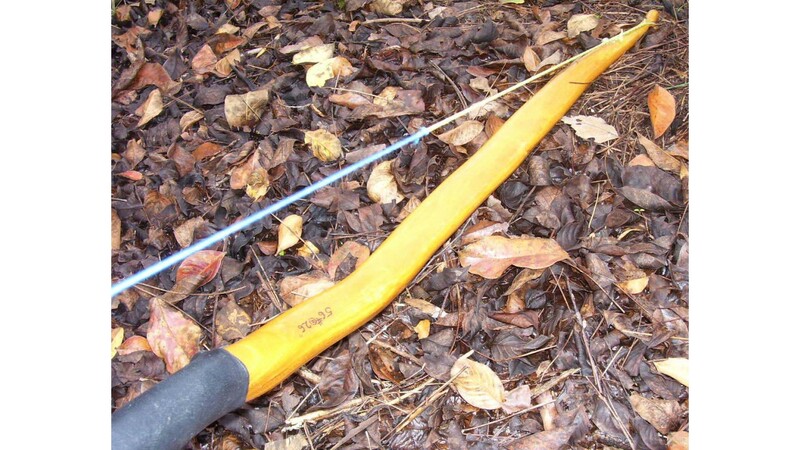 It's a beautiful bow that's as deadly and powerful as it looks. Click photos for larger images. 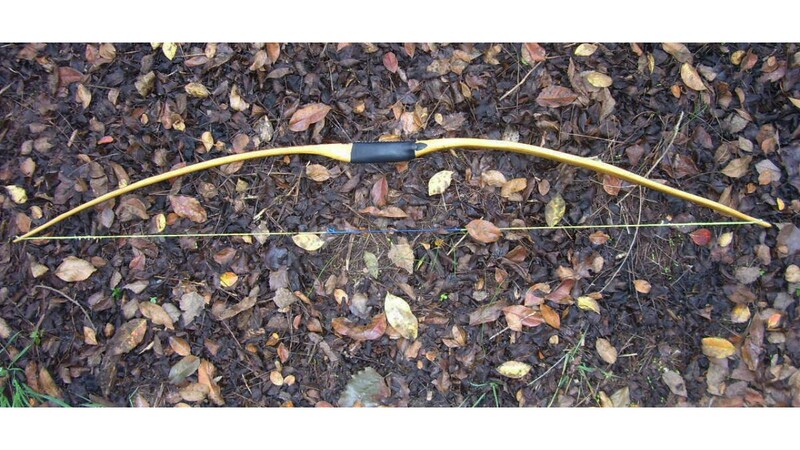 Bow Specs: Osage orange, pulls 56 lbs @ 26 inches, 60 1/2 inches long tip-to-tip, 1 1/4 inches wide at grip, 1 1/2 inches wide midlimb, 5/8 inches wide at tip below nock. Copyright © 2013-2014 - all rights reserved.